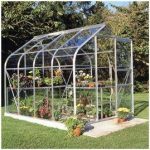 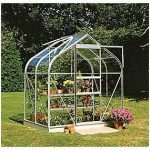 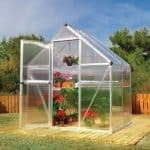 This 12 x 8 greenhouse with vent has a lot going for it, and it should prove to be an indispensible part of your gardening routine. 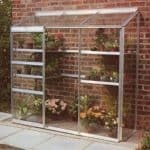 The fact that it has a vent is important, because this allows you to take an active role in ensuring that the climate inside the unit is perfect for the planting that you do. 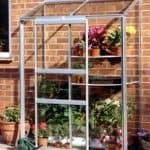 The apex roof also supplies you with increased headroom, so you don’t have to worry about the taller plants that you have in your collection. 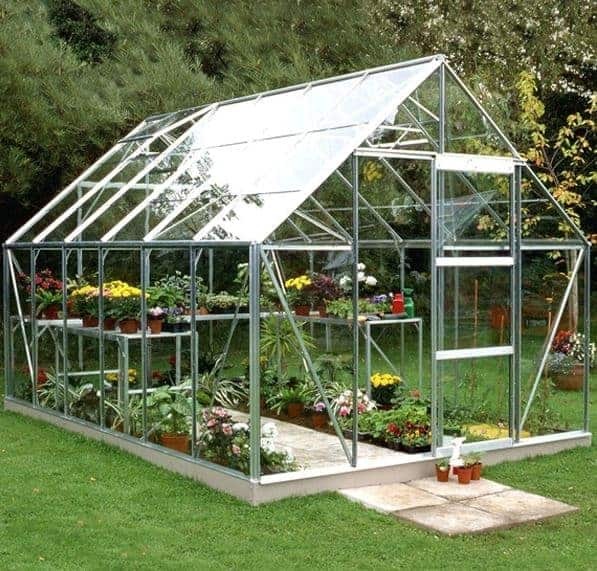 The taller eaves and the apex roof easily manage them. 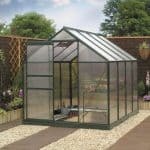 The unit comes it a useful 10-year guarantee.